Here are some of the developments we can expect to see recruitment agencies embracing soon, and the transformative impact they will have on business protocol. When it comes to innovation, businesses are well aware of the revolutionary impact that technology is having. In recent years, we’ve seen much-hyped industry concepts transform into solid use cases, which are now being developed for the needs of specific sectors. One industry where technology is really starting to change the game is recruitment. Smart tools are emerging that are cutting the time and cost of managing operations, making key processes quicker and smarter, and generally enabling recruiters to get better at placing highly skilled candidates with the right opportunity. Recently, we analysed some of the ways in which technology is shaping working processes for a trend report on The Future of Recruitment, and some interesting examples emerged. Three critical innovations – automation, AI and blockchain – are clearly at the front of industry discussions, and it will be interesting to see which of these capabilities are most quickly adopted by forerunners in the recruitment sector. One technological development that is quite clearly transforming recruitment already is automation. For the back office in particular, tech platforms are taking over the management of essential but repetitive tasks, enabling agency staff to focus on more valuable activities. For example, we are seeing automatic processing of essential operations such as formatting and approving timesheets and expense claims. Technology solutions are able to set regulations as to how each entry should be formatted, and automatically chase outstanding submissions, to ensure that clerical issues do not delay payment. 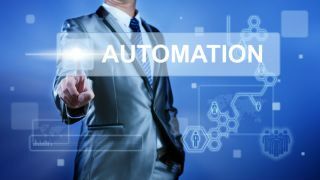 Automation is also transforming the way in which approved timesheet and expense claims are being converted into invoices, significantly reducing the time it takes for recruitment agencies to bill their clients. In addition to eliminating manual errors, which result in documents and invoices being passed back and forth, the prompt nature of automated invoice filing is speeding up the payment process – giving recruitment companies quicker access to much-needed cash flow. Automation provides some good examples of the way in which technology is refining back office process, but innovation is happening at the front-end of recruitment as well. Artificial Intelligence (AI) is driving significant advances in the search for untapped talent, for example, helping recruiters to pair strong candidates with the available opportunities. AI is proving transformative because it eliminates the unconscious bias that can sometimes creep into the applicant selection progress. It searches contractor CVs by keywords related to their skills and experience, automatically generating a shortlist of the best people to put forward for each job. There are other examples of software that uses AI to improve the search process, too – for example, analysing the wording of digital adverts to see which version generates the best response rate. One of the most interesting aspects of AI in recruitment is its iterative learning capability. The more data AI tech processes, the better it becomes at understanding the impact of its actions – and therefore the better results it generates. This means that the more a recruitment agency uses an AI-driven solution, the more effective it will become at finding the right person for the job. Another technology that must be included in the discussion of industry transformation is the blockchain. This immutable, secure way of storing data and managing transactions is impacting all sectors, and there are two significant ways in which it will evolve recruitment. Firstly, blockchain is an important next step on the subject of data control. Recent legislation like GDPR has kick-started a conversation on who has authority over personal data, and the consensus seems to be that candidates should have more control. By storing details securely on the blockchain, candidates will have greater power than ever when it comes to keeping hold of personal information and deciding which recruiters and potential employers they want to share it with. This will lead to recruitment agencies having more of a ‘talent agent’ role, negotiating the best deal for both clients and contractors. Blockchain is also having a transformational impact on transaction process. The infrastructure is able to process commands in real-time, in a secure manner, which means that same-day payment will be possible for both recruitment agencies and their contractors. The potential impact of daily payments is huge for recruiters – both in terms of access to cash and providing a competitive differentiator to attract new talent. And building processing technology on the blockchain will create a level of security and encryption that makes clients feel comfortable with this quick turnaround transaction model. It’s an exciting time for recruitment technology, and the potential for agencies to run a smarter, quicker operation is huge. However, making new software work for their business will rely on recruiters choosing their technology carefully, and integrating it successfully with existing processes and systems. Recruitment agency personnel will need to think wisely about what, how and when to introduce next-generation automation, AI and blockchain tech, so as not to overload their team with a new way of working. Methodical introduction is key to reaping maximum benefits – and the quicker their workforce can get on board with new technology, the sooner other software can be implemented to add further competitive differentiators. This doesn’t mean that recruitment companies can afford to sit back and watch how other agencies get on with new software, however; far from it. The industry will never stand still, and recruiters need to remain open minded and embracing of the change that next generation tech can offer if they want to keep evolving. These are the tools that will transform their business, and future-proof their working models. Ultimately, it is the businesses that can blend innovative tech and talented staff together to best effect that will thrive in today’s competitive recruitment environment. And automation, blockchain and AI will play a formative role in how that technology works.